Where Nikon’s Z6 and Z7 full-frame mirrorless cameras were the Japanese company’s worst kept secrets, the manufacturer has successfully managed to keep the news of its newest DSLR pretty much under wraps. The Nikon D3500 was announced today without much fanfare, making it the successor to the two-year old and still popular Nikon D3400. Since its launch in 2016, the D3400 has been the go-to entry-level DSLR for beginners looking for an affordable way to learn the art of photography that didn’t involve their smartphones. With the D3500, Nikon has taken everything that was excellent about the D3400 and popped it into a redesigned body. The specs for the D3500 are very similar to the D3400. The new camera retains a 24.2MP DX-format CMOS sensor, 5fps burst speed and 1080p video at 60fps. Like the D3400, there are no 4K capabilities here. ISO sensitivity also remains at 100-25,600, as does the 11-point autofocus, but that’s acceptable for a beginner’s snapper. 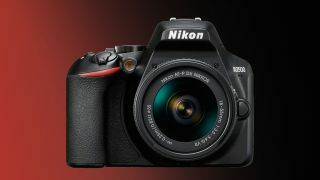 What’s different this time is the CMOS sensor and the Nikon Expeed image processor have been given an update, making them faster and offering, Nikon claims, sharper details with more vivid colors. To ensure the camera can keep up with the photographer, the battery has also been given a boost – it's now able to last up to approximately 1,550 shots on a single charge, as opposed to the D3400's 1,200-shot battery. The new camera looks more like the mid-range Nikon D5600 than the D3400. The D3500 has a deeper grip, with a new layout for the buttons on its back. The playback button is now larger, most of the important controls – including menu buttons – have been moved to the right of the display, and the camera now integrates a Guide Mode to help new users. Speaking of displays, the rear LCD on the D3500 is a 3-inch 921,000-dot resolution display but, like the D3400, is fixed and lacks touchscreen capabilities. And while the D3500 isn’t Wi-Fi enabled, wireless transfers of images can be done over Bluetooth via Nikon’s SnapBridge application. The difference this time is that the app can now be used as a remote control to trigger the camera’s shutter. In terms of camera body dimensions, the D3500 is the same size as its predecessor but is lighter at 365g (12.9 ounces), making it Nikon’s "most portable entry-level DSLR ever". The Nikon D3500 will be available on shelves globally from September 20 in two configurations. In the US a single-lens kit with the AF-P DX NIKKOR 18-55mm f/3.5-5.6G VR lens will cost $500. There's also a two-lens kit, which in addition to the aforementioned 18-55mm glass includes an AF-P DX NIKKOR 70-300mm f/4.5-6.3G ED lens, and which will be priced at $849. In the UK the AF-P DX NIKKOR 18-55mm f/3.5-5.6G VR kit is priced at £499, or £479 with the non-VR version of the same lens, while in Australia kit with the VR lens is AU$1,099.